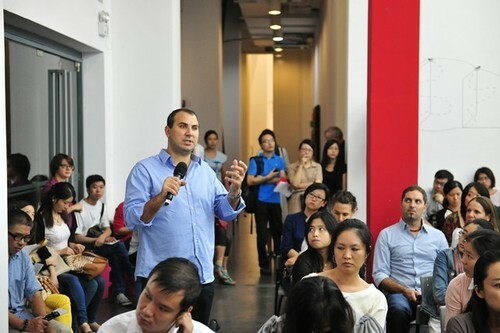 On September 27 the Barbecue Lecture was dedicated to the topic of Wealth. The guest professor Dr. Aymo Brunetti from University of Bern, formerHead of the Swiss Directorate for Economic Policy of the State Secretariat for Economic Affairs (SECO) presented a Swiss point of view on the definition of Wealth and discussed on some reasons for Switzerland’s prosperity. 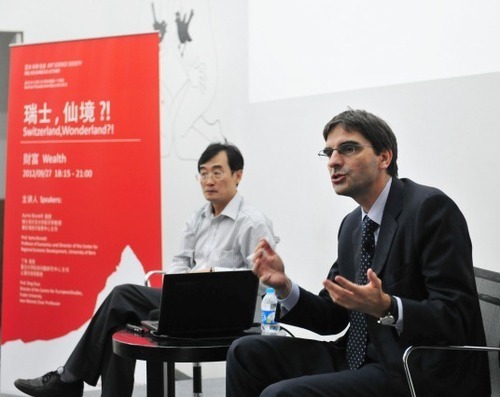 His counterpart Prof. Ding Chun, Director of the Center for European Studies at Fudan University and a Jean Monnet Chair Professor, introduced the audience to China’s current economic situation and later elaborated on the challenges of the social security system in China. Looking at some of the reasons for Switzerland’s wealth, Prof. Brunetti named the flexible labour market, decentralised wage settings - no minimal wages-, the strong social security system, a high labour market participation and also some fiscal policies such as the so called “Dept-Brake Rule”. Further also fiscal federalism and direct democracy and strong education system are some of the factors that add to Switzerland’s wealth. For Switzerland’s future Prof. Brunetti sees challenges in normalizing the monetary policy, keeping access to other markets such as EU or also China, handling the aging population, besides other factors. Prof. Ding Chun showed the impressive numbers of China’s growth within the last two decades, and also referred to the challenges whit which the country will be confronted in the next years. Apart from challenges such as for example the growing income gap, in 2009 the Chinese GINI Index was at 0.48, a very fast growing aging population and desertification, the development of a social security system will further challenge the leadership in China. In the Q&A session the audience was also curios to hear from Prof. Brunetti about the EURO crisis and how Switzerland can navigate through this difficult times. 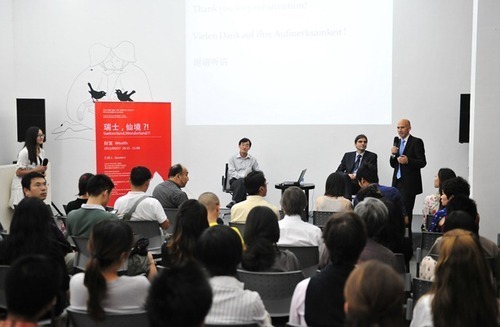 On Friday September 28, Prof. Brunetti gave a briefing to the team of Consulate General of Switzerland in Shanghai and the swissnex China team and discussed about Switzerland’s role in the current crisis.